The gallery's 6,000 square foot exhibition space is home to quality exhibitions throughout the year featuring artwork from around the world. In conjunction with each exhibit, the City of Brea Art Gallery offers educational programs, art workshops for children and adults, lectures and demonstrations. The Gallery's Gift Shop features work by regional artists and special one-of-a kind items. 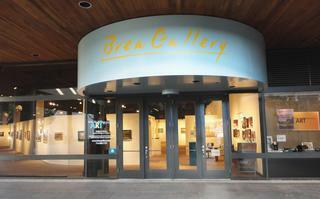 For more information, visit our website at www.breagallery.com, call (714) 990-7731 or email breagallery@cityofbrea.net.